The online economy offers challenges to traditional businesses as well as incredible opportunities. Chris Anderson makes the compelling case that in many instances businesses can succeed best by giving away more than they charge for. Known as "Freemium," this combination of free and paid is emerging as one of the most powerful digital business models. 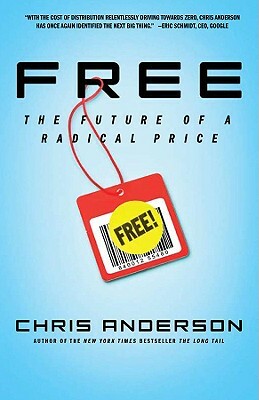 In Free, Chris Anderson explores this radical idea for the new global economy and demonstrates how it can be harnessed for the benefit of consumers and businesses alike. In the twenty-first century, Free is more than just a promotional gimmick: It's a business strategy that is essential to a company's successful future. Chris Anderson is Editor-in-Chief of Wired magazine, a position he's held since 2001. In 2002 and 2004, he led the magazine to a 2002 National Magazine Awards nomination for General Excellence. He has worked at The Economist, where he served as U.S. Business Editor. His career began at the two premier science journals, Science and Nature, where he served in several editorial capacities. He holds a Bachelor of Science degree in Physics from George Washington University and studied Quantum Mechanics and Science Journalism at the University of California at Berkeley.